Welcome to our 2019 season and another year of netball with ACE Netball Club and an especially warm welcome to newcomers. Last year was one of our most successful for the club to date. We fielded a total of 41 teams at Pine Rivers Netball Association (PRNA) with 374 members. We had 9 teams reach the Grand Final with 7 of these teams winning the grand final. We now boast some of the best facilities for any Netball club in Australia. 8 Quality courts with courts for lower and higher hoops, Club house facilities which include - fully stocked equipment and training room, toilets and showers, canteen and uniform stores, extensive car parking and floodlights for evening training. 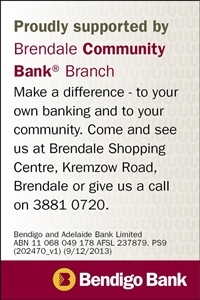 We have recently been successful in being awarded grants from both Priceline Pharmacy and "Get Going Clubs" of $5000. We would also like to thank “Re/Max Northern Realty” who have renewed their commitment to the club by signing as headline sponsor for two more years. We look forward to continuing our wonderful relationship in what we hope to be another exciting year. This year we will be focusing on obtaining funding to build a rebound wall. This will be via Grant and fundraising opportunities. So please help out where possible to help raise funds for this useful piece of training equipment.